When asked how I would describe myself, resilient is one of the first things that comes to mind. I have had to be. My ability to bounce back, no matter what life throws at me is one of the things I am most proud about in myself. One in four of us will experience some kind of mental health problem in their life, so we have teamed up with AXA PPP healthcare to help you handle some of those problems, one of them being resilience. Do you want to be kept up to date on more healthy tips like How To Be More Resilient? Please subscribe to the blog mailing list (it takes 30 seconds). You will get the new posts sent straight to your inbox. Your email address won’t be passed on to anyone and you will never be spammed. Click here to sign up. Not sure what resilience is? Take a look at this video from AXA PPP healthcare that explains it. 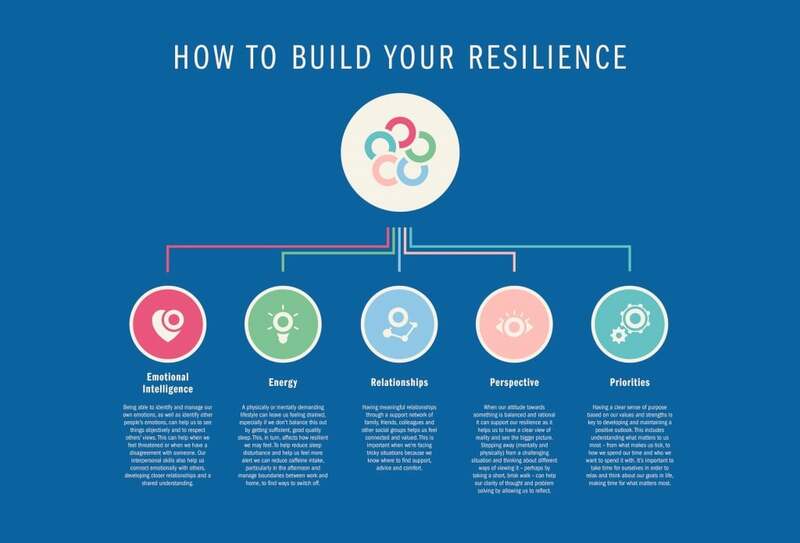 Leading psychologist Dr Mark Winwood, Director of Psychological Services for AXA PPP healthcare, has launched the guide below to help Brits build their resilience and become better equipped to face life’s challenges. Change can be daunting, it can be scary, but it doesn’t have to be. Reminding yourself that change doesn’t have to be a bad thing can help make you much more resilient when a big life change pops up. To be resilient, you must also be flexible and learn to go with the flow a little bit more. Hard for perfectionists, I know, but being a little more adaptable will mean that a big change doesn’t have to be scary, but an exciting new opportunity. Self-esteem plays a huge part in how you can handle stress and bounce back from things. Instead of beating yourself up and thinking “why me”, focus on how strong you are and all the things you have accomplished in your life. Don’t just focus on the things you have struggled with. The more confident you be come with your ability to handle stress, the more resilient you will become to future life curve-balls. Feeling healthy, having a varied diet and getting regular exercise can make you much more resilient when it comes to challenging times in your life. If you are feeling sluggish from too much junk food, and lethargic from a lack of exercise, then moving off the sofa is going to be a challenge, let alone being strong enough to take on something huge. Learning to look after yourself all the time will make it easier for you to look after yourself when you are stressed too. So, get outside more for some walks, eat more fruit and vegetables and make sure you are getting enough sleep. If every time you spend time with your friends you come away feeling really down and negative then you have the wrong social circle. If your friends only seem to have time for themselves, then it might be time to make some new friends. Having someone that you can lean on in tough times and to confide in can make a huge difference in dealing with life changing events. Surrounding yourself with caring and supportive people can make it much easier to handle stress. Talking about things doesn’t make a problem go away, but they do say that a problem shared is a problem halved and it might help you get a different perspective of the issue and you never know, they might have a solution! It doesn’t have to be all doom and gloom and I am a big believer of the power of positive thinking. Trust me, I know it’s easier said than done, but trying to see the good in everything and being a little more optimistic can make those difficult situations a little easier. You don’t have to ignore the problem, just focus on the small things you can do to address it. Focus on all the things you can do, not just the ones you can’t. If you do still find that things are just getting too much, and you need someone to talk to, you can contact the Samaritans on 116123 or email jo@samaritans.org. Also, you can always email me, my inbox is always open. Having a creative outlet can have a really big impact on your stress levels. This, in turn, can help you to handle stress better and be more resilient. Try keeping a journal or do one of those colouring in books for adults. 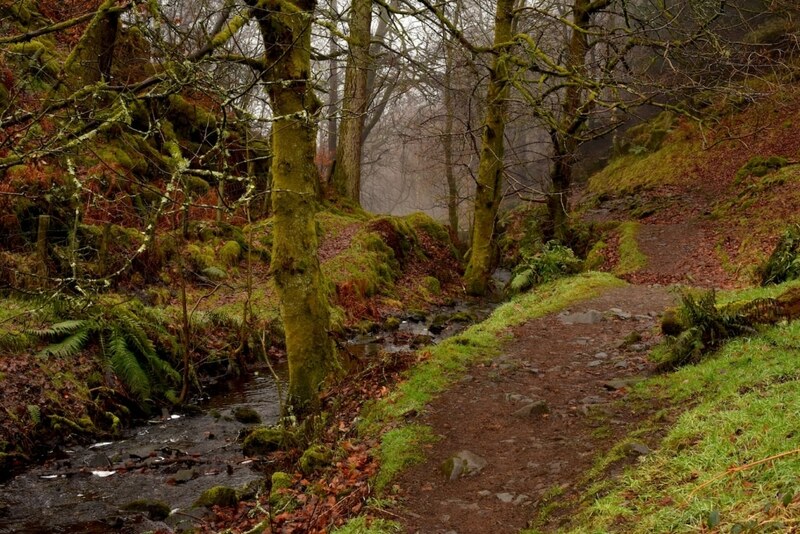 Maybe just get outside and take some photos of your happy place – you can look back on it when you are having a bad day. I used to be one of those people that when faced with one of life’s dramas, I would completely stress out about it, think “why me” and just wallow in self pity. Where did that get me? Nowhere! Now, I focus on problem solving and make lists of the things I can do to help the problem. It might not totally solve the problem, but it’s better than doing nothing about it. Set yourself goals and attack them one by one. If you can learn something from every negative situation, then it will prepare you better for the next negative situation. When faced with a new challenge, you will immediately start to think what you can learn from it. This will make the whole situation much less stressful. 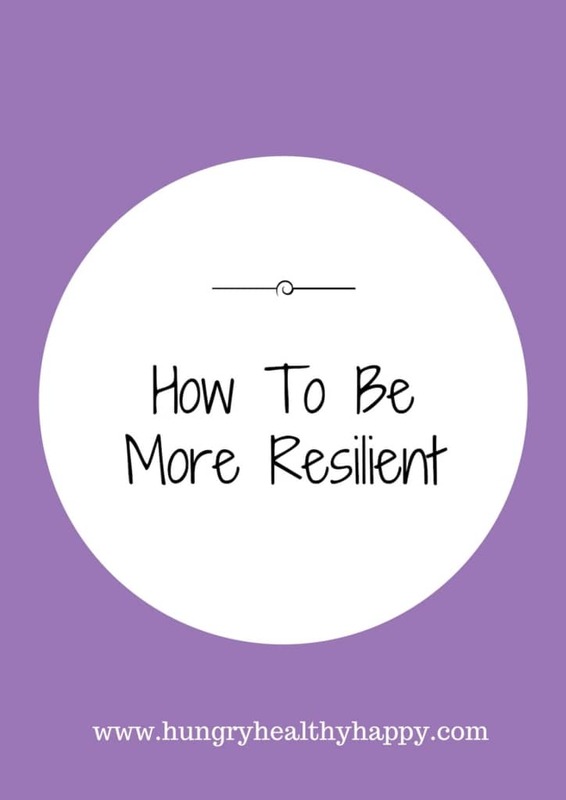 You aren’t going to read this post and instantly become more resilient over night. It’s going to take time, time to work on some new skills, and there will be times when you don’t feel very resilient at all and the problem just gets on top of you. But you WILL get there – just keep working away at it. To help people take a simple first step to building their resilience by improving their energy, AXA PPP healthcare is encouraging people to join a Caffeine Curfew. This means cutting out caffeine after 2pm each day for 4 weeks to see how this affects their quality of sleep. To sign up to the challenge and learn more about resilience visit www.axappphealthcare.co.uk/resilience and join the conversation using #TRYit. I think problem solving is really important instead of problem stressing. For me, being indecisive causes me the biggest amount of stress possible. So these days – I make quick decisions. They don’t have to be perfect decisions and I don’t mind if they aren’t the best each time but just making a decision on anything can really relieve a lot of problems for me! Plus the more you make decisions, the quicker and better you become at making them. I hate to be a pain but could you unlink my website hardboiledbody from the above comment I made. Happy for the comment to stay but sadly the link is confusing google and having a negative impact on my site. Thanks so much for your understanding and I hope you have a great 2018! I am definitely part of the 62% of people that want to be more resilient for many reasons. I am so glad I found this post!! Thank you for sharing! Thank you for the amazing info you’ve gathered in this post! I think doing the degree I chosen at uni has definitely helped me to become more resilient, it’s a quality I believe is very important for the job I do. There’s some great tips on here! You have to turn the negatives in to positives. I have learnt that the hard way! So many great tips here and something many of us can learn from. Having a creative outlet, something you can just switch off and do, can be a really big help during stressful times. Great post Dannii and thanks for sharing the video! I need to be more resilient I know that!! I feel like I’m pretty resilient but I know it’s still an area I can be better in.